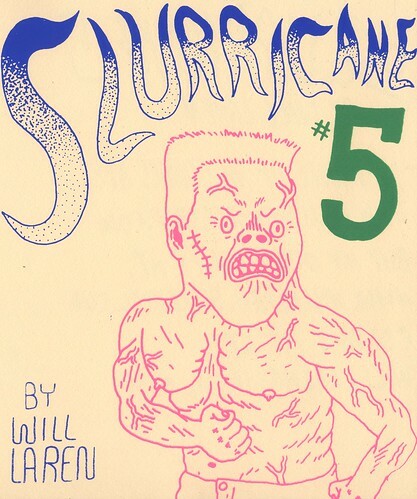 Slurricane #5 debuting at MOCCAfest in NY april 6-7! ($5), a photo by willlaren on Flickr. the cover I silkscreened for the latest version of my zine "Slurricane", almost all of the drawings in it have never been seen before! if you're in the New York area the weekend of April 6th and 7th consider stopping by my table (C93 1/2B) say hello and buy the new zine! for everyone else, you can order this zine as well as many others on my bigcartel site and I'll send them out once I get back to philadelphia on tuesday!